Karthik Muralidharan: It is my pleasure to welcome Kaushik Basu to the ‘Ideas for India Conversation Series’. This is the second of these and we hope to use this platform to have deep, engaged discussions. In a world of sound bite journalism and ‘gotcha’, big-fight TV studio dynamics, there is really a missing market for deep, engaged discussion of ideas. I am particularly delighted to have Prof. Basu here given his academic and policy credentials – having been on both sides of the divide. Kaushik Basu: Before getting to that, let me thank ‘Ideas for India’ for doing this. As you said, we get a lot of economic discussion which is little sound bites for the next morning’s interest but you miss out on some of the larger questions which need to be debated. The long-run benefits, or even the downside of doing these things wrong, can be huge. So having a forum where you allow for questions which may not quite be of interest for the next morning’s headlines but of interest to the subject, is very welcome. With that, let me go to your first question. I feel blessed having this forum of being the Chief Economist of the World Bank because it gives you an opportunity for engagement with the policy end of development economics in quite an amazing way. The reach in terms of global engagement is large. For me especially, this was a great opportunity because I have done my life in research and teaching. Before this, of course, I had my India experience which was a hands-on experience, and then this. There are ideas – lots of important ideas – to be brought to the table. First of all, I must point out something which is to do with the profession of economics itself, which is heartening and which makes a segue into development economics that I am able to steer a little, using my position at the World Bank. One important change in the economics profession is that some of the extreme thinking that was ideologically rooted without having enough grounds has become very weak. If you look at the good economists – the top end of it – 90-95% would be broadly sharing a lot of common ideas, which was never the case earlier. The extreme right and left fringes have somehow fallen off and that is very important because there are two important recognitions which have come – first, leaving it all to the free market – just letting it run free for itself – doesn’t work and even if it does, it can lead to such gross inequalities that it is going to put ordinary life in peril; political stability is going to go. On the other hand, the belief on the other side that you can bring in the State and the State takes over and does it all has also gone out because you realise that the market, individual enterprise, creativity – these things are very powerful forces. So this coming together of these views with the edges becoming unimportant is very important for the profession itself. When I joined World Bank, I was very keen to have development economics reflect this. Some of this was happening on its own – I don’t want to exaggerate what I have been doing – but it is important to bring this to the table. There are a couple of other directions in which I wanted to give a gentle push. The World Bank has for long been engaged in poverty and poverty eradication policies. But to go beyond that to say that it is not just poverty eradication but something in terms of sharing the pie that is important. We took it upon ourselves and these were written down as the two goals of the World Bank – formally brought in last year in April. We must strive to bring down poverty in the world especially when you define it as $1.25 a day, which is a shockingly low poverty line but what is even more shocking is that with that shockingly low poverty line, 1 billion people happen to be below it. So we have to fight for that. Secondly, we have to fight for shared prosperity and by that we mean that for every society, there ought to be special attention paid to the bottom 40% and how that is doing – 40% is a bit of an arbitrary number but the point is that you have to pay attention to the sharing of the pie. Subsequently, the World Bank declared this as one of its two major goals, giving it a lot of salience. This has come into play, there have been statements by other economists – Piketty of course is very prominent. IMF has gone into this topic. So this is gaining some ground and I feel pleased about it. It ought to be discussed in a rational way – you don’t want to destroy market forces when you battle this but at the same time you have to nurture that. KARTHIK MURALIDHARAN: Fantastic. Probably the biggest pivot in the policy space in India in the past decade was the pivot towards rights-based legislation of trying to secure precisely the interests of the poorest 40% that the Bank is now targeting. But I think – whether you look at the Mahatma Gandhi National Rural Employment Guarantee Scheme (MNREGS), or the Food Security Act or the Right to Education (RTE) – the general sense among a lot of economists is that these are extremely well intentioned but relatively poorly designed in terms of the first principles of economics. Given that this political churn of pivoting policy towards the poor was happening, why do you think economists lost the battle so badly in terms of the design of these things? Like the Food Security Act – we know that it’s not that we don’t want to get food to the poor; it is basic design principles that the Public Distribution System (PDS) violates, and the Minimum Support Price (MSP) violates in terms of what it does to the non-diversification of agriculture. So why have economists lost the battle, conditional on wanting to do something for the poor? Why have we not had the kind of impact you would think we should be having in better design of these programmes? KAUSHIK BASU: The economists have lost the battle – if you want to put it that way – or rather the policymakers have lost the battle because the political economy of this was not appreciated enough. I think the economists were pretty much on the same side apart from some marginal differences on how you would do it, the need for better design. But the political economy was a problem. Let me step back and point to one thing – since you brought up the rights question – my own view on rights is that certain rights are extremely important and ought to be enshrined as rights. But with rights comes a responsibility and obligation that what you are enshrining as a right, you must be able to deliver on those. To write things down as rights and not deliver is to do disservice to the very concept of rights. Since you mentioned food – food, I do think, should be a right. India today is in a position to guarantee everyone gets the food. You are right that the problem is on the design – how do you get the food to the people. A lot of the problem in India was not that you want to give food to everyone – you should jolly well want to give food to everyone, you should make sure everyone gets it. But how do you weave market forces with the government stepping in – there is a very intricate sort of weaving of the public and the private to get the food to the doorstep of the people. Very often, you don’t want to use the mechanism of actually carrying the food to the doorstep and dropping it there – you may use other mechanisms empowering people to buy and letting the ordinary traders to supply this. I don’t want to get into the details of this only because it is intricate – but the design is the key, not the objective. It is true that not enough is being done and we need to work on this. This is one area where, in fact, the economics profession has a lot to offer because we have had experiments from around the world – Brazil, Mexico, Indonesia have tried various things. There have been experiments in India. Then there is economic theory. All of these give us pretty much of a consensus of broadly the way of doing things (again, there will be some disagreement). The thing here is that you have to win over the people and the political decision-makers about the importance of the design – not to push the design aside and run on slogans. This is a challenge that we have to take on and I hope that economists will be able to work with politicians to be able to deliver on these better. KARTHIK MURALIDHARAN: My own take on what is happening in economics as a profession, talking to people in other disciplines, is that our fundamental weakness at some level is that because the touchstone of policy evaluation is the idea of a Pareto improvement (is someone better off and no one worse off) – effectively, economists do not question the justice of the initial positions. You kind of take the initial position as granted and say that conditional on this, how do I improve things on the margin. Given vast inequalities in the opening deal of cards, so to speak, there is obviously a deep political need to create the space for more pro-poor policy. I think because the professional economists have abdicated that space to saying that it is a philosophical debate and we have really nothing to say, the rights-based movement that has created the political space for pro-poor policy has also then occupied the space of how to design it because they are the people who have created the political movement. My own view on this is that because economists have kind of been seen as apologists for the status quo in many settings, we have lost the credibility to say that we are as pro-poor as you are, but conditional on these objectives there are much better ways to design it. KAUSHIK BASU: Some agreements and disagreements. I fully agree with the first line that you took – treating the status quo as right does abdicate something very important to others. Fortunately, I feel there is a shift beginning to take place in economics and I do believe that our shared prosperity focus talks to that. One of the things we looked into when we were working on this (for me this is still back-of-the-envelope calculation), one reason why economists did abdicate the space, is that if you look at the current distribution of income, there is one school of thought that some people tend to work harder, they earn more, and some people prefer leisure, they earn less – and you have got this distribution caused by that. I feel that is utterly naïve, and the most important reason is that it is possible to compute inequality at birth. There are people being born in slums with absolutely nothing and then there are people being born multimillionaire from the start. These are the extremities, but there is a range of inequality at birth. If you compute inequality at birth – and I have just done some back-of-the-envelope calculations – a large part of today’s inequality is inequality at birth. Given that babies are not distinguished by hard working babies and lazy babies (none of them work), this is just a gross injustice to start with. This fortunately has now come to the table – and you are probably right that this space was being given up too much to another group – but once the mainstream comes on board to say that we need to recognise this great injustice, this can be corrected. One area where I may have a small disagreement with you is about vested interests as a block for why these changes cannot take place. Soon after I joined the Indian government in 2009, some journalists would ask me: what is the most important thing you have learnt, moving from pure academia to the world of policymaking. One of the things I became convinced of was what Keynes had talked about – vested interests are important but even more important are ideas that are ossified in the head. I do feel that if you have got so much leakage in the PDS and other benefits, there are vested interests but the bigger restriction or hurdle is the block in the human mind. People who have run a particular programme for the last 20 years may not have a direct vested interest in it but they have a vested interest in that idea. Battling that is very difficult. So you sit in a meeting with a group of policymakers – I don’t doubt their honesty, they don’t have friends that are benefitting from this – but they are totally committed that this is the only way to do it. And you are an outsider bringing in a new idea. Yes, vested interests are important but the ossified ideas also play a role. That brings me to a quick tribute to a forum like this – we have to engage people in deeper discussions, where ossified ideas begin to break a little bit and you begin to think afresh. KARTHIK MURALIDHARAN: That’s exactly where I think the evidence then comes in. One executive summary of Jean Tirole’s work leading up to his Noble Prize, said that if you ask him his opinion on any regulatory policy question, his answer would be ‘it depends’. The science of theory gives you general frameworks; the art of theory is in knowing the parameter space you live in. KAUSHIK BASU: Daniel Kahneman – the guru of behavioural economics – was at the New York meeting that I was referring to earlier. People were shooting questions to him about every possible problem in life. Most of the time, his answer was ‘I don’t know’; there are little things where I have an understanding, where I have something to say – on others, it depends on x, y etc. and I don’t have a full answer. I feel that the admission of ignorance is a sign of his deep thought, rather than not knowing. KARTHIK MURALIDHARAN: I have seen this in my own work on education policy. For example, when you write an academic paper, it is exactly about being honest about your confidence intervals. But then because the economists are, in some sense, not taking the step towards policy, that abdication is in fact allowing people to fill it with even less knowledge than the economists. So it is a delicate balancing act. For example, in the context of my work on the 12th five year plan, I learnt to bifurcate my own brain in the sense of saying – here is everything we don’t know as researchers but we still know more than a lot of people and so there is some obligation to channel that. Coming back to vested interests, an example is what we have seen in our work on biometric smartcards in Andhra Pradesh. It is quite subtle. Here is a programme that is reducing leakage by say 35% so people are losing out. But what we were seeing in our work with the government of Andhra Pradesh was that the stories that would trickle to the top were not the stories of the benefits but the stories of the few times the authentication did not work, stories about how beneficiaries were being hurt. So vested interests are not going to come and say that kill this programme because I am not making money, they are going to hide behind the genuine beneficiaries and then try to derail the programme. We had data from our experiment with 20 million people that showed that 90% of the people unambiguously preferred this and so it was a great illustration of a case of concentrated costs and diffused benefits and how the vested interests show up. You can also see this in the context of the LPG subsidies. The LPG subsidies were rolled back. There is a very nice paper by Prabhat Barnwal, a Ph.D. student at Columbia, which shows how the black market prices reacted to the LPG direct cash transfer – as kind of a story of vested interests. But your point is well taken that in the end – it is a well-known framework in trade policy and other political economy discussions – ideas, interests, and institutions of how you make changes. Ideas are clearly at the bottom of the pyramid, which is why we are here. So coming back to some of the thrusts and things you have done in your own role at the World Bank – how much of this has been influenced by your own research, and by your experience as Chief Economic Adviser (CEA) to the Government of India, and how much has recent academic research contributed to some of the priorities you are setting at the World Bank? Please give specific examples. KAUSHIK BASU: All of these have of course played a role – my own research, research interests, beliefs have played a role. The CEA experience was vital. I am going to give you some examples – even areas where I don’t do research, which have had an influence on the way I think. One is the kind of research that you do – Randomised Control Trial (RCT) to get to certain understandings. I think this has played a very important role. World Bank already had quite a few people who were doing this but we are trying to strengthen that, do more of that. I do have some criticisms of the methodology but I will come back to that later. To me, RCTs are a method of discovering little gems of knowledge which are lying around unexplored. Using this technique, you can find out – does this policy work, does it not work; you do these trials and you get an insight into that. We were doing too little of this. It is almost like horizontal drilling for shale oil. You have discovered a new method; you don’t want to drown out the other methods. But there was a whole lot of oil that was sitting around that you can now get using this new technology. RCTs play that role. It is a new method; it was widely used in epidemiology but it is new in development economics. The use of it is giving us important insights, which have played a role in this WDR. A prominent example is Esther Duflo and Raghab Chattopadhyay’s work on choosing women leaders for local panchayats. Before their RCT there was no way of telling whether it is a more progressive panchayat that chooses women leaders, or the women leaders lead to more progressive policies. But it was a piece of luck that India had effectively applied a randomised trial – they picked it up and gave us great insights into this. There is famous work by Michael Kremer and Edward Miguel on deworming and its role; your own work on smartcards with Niehaus and Sukhtankar is giving us an insight into whether smartcards are working or not. In this case, I do like it because it goes with my own prior, theoretical thinking that it will work; at the same time, I am not cussed enough to say that I will stick to it even if empirical evidence went in a different direction. It confirms that – plays a major role. I do believe, and I have written critiques of the method, in the sense that it is possible to over-claim and it is possible to drown out other methods, which would be a pity. There is another thing where in fact RCTs won’t work but which is very important – this was a learning I got while being CEA at the Government of India. All these micro interventions tend to have macroeconomic implications – you run 1,000 programmes in 1,000 villages, you do trials over there, you will know what it is doing in these 1,000 villages. But running a programme can have fiscal and monetary policy implications – a village that is thousands of miles away and has nothing to do with the villages where the intervention took place, gets a fall-out of the programme. Actually the economy is more like a homeopathic system than maybe the human body – you get the systemic effects that the RCTs will not be able to pick up, or at least not at this stage; you would need to have much more sophisticated ones. You do need an element of macroeconomic analysis to pick this up. Macroeconomic analysis – and this was my big eye-opener at the Ministry of Finance – is a strange mixture of science and intuition; you have got masses of data without perfect controls. You have got theoretical analyses trying to understand this. You have got examples from rich countries – the US Fed has been doing something for the last 80 years; Bank of England has been doing something since 1694 when it was founded; they have done different trials. You roughly know that if inflation takes place, you come in with this policy; if your exchange rate is depreciating, you do something else – but this is usually picked up by looking at other countries. It is not totally clear that the policy followed by a rich country will work well in a developing country. There you need intuition, you need theory, you need to do a bit of abstract thinking, you need judgement, and you need experiments. You have to try odd policies at the macroeconomic level, collect the data immediately, and see what is happening and then decide – the American policy which worked very well in the US, will it work here? Maybe it won’t. That needs to be done much more. This is a very hard agenda. This micro-macro interaction is something I am working very hard at; the researchers at the World Bank are aware that I push for this. Since the World Bank is engaged in developing countries, I keep stressing that we don’t want to just take lessons straight out of a rich country and take them to a poor country. We have to empower, build capacity in emerging economies to do their own little experiments and develop their own experience. This marrying of micro and macro is something I learnt during my India experience – the micro interest was of course a longstanding interest, the macro interest is a hands-on interest. Now at the World Bank when I travel around the world and interact with a lot of country policymakers, I want to bring this to the table. When there is a short-term macro crisis, IMF is geared for that. But when there is a long-term macroeconomic development challenge, that sort of falls between two stools – the World Bank does not go in enough; IMF does not go in enough. That is an area which needs strengthening. Fortunately now across the Bretton Woods organisation, we talk about this quite a bit. Even within the World Bank, there is a lot of conversation that this is an area that needs to be strengthened. I’ll give you one more example – the current oil price movement is causing a lot of concern. It is a strange concern because usually when prices drop, you just feel good about it. But you have to distinguish between low prices and the process of dropping prices. The process is a process of change, which means that some parts of the world are gaining, some are losing. India is on the gaining side but it will probably cause some turbulence on the macroeconomic side. There is no standard model to fall back on to understand this. In fact, when I left Washington there was a team at the World Bank that was working on what the implications of this will be on different countries. I am sure that over the next few weeks or months there will be much more work on this where you will have to use a variety of different methods – some well-developed, some not so well-developed but we have no choice but to do that. KARTHIK MURALIDHARAN: One of the key themes in the macro development economics literature in the past decade has been the idea of misallocation of resources (capital and labour) across firms within countries, and across sectors. One of the dominant factors of firms doing business in developing countries is the large subsidies to State-owned enterprises that keep distorting both in terms of direct fiscal loss of keeping these entities afloat, but more importantly in terms of the larger distortion of resources that they lead to in the economy and similarly across sectors. Now we have got work, including by David Lagakos, on how much lower productivity per worker is in agriculture. So these kind of structural transformations and sectoral efficiencies seem pretty first order. Given how important World Bank’s ‘Doing Business’ report has been, is there any attempt to systematically measure distortion and misallocation in countries, and is there a framework that may be useful to think about this, because it really is a big picture thing, and not just about macro development. KAUSHIK BASU: The ‘Doing Business’ report has moved into the part of the Bank that is under my charge so I do have involvement in that now. ‘Doing Business’ does not quite have the scope for this because all it does is collect data from 189 countries by asking exactly the same questions. That is done very carefully. Whether the questions are always quite right or not is something to be discussed and debated. But the larger question of distortions and distribution, it is something that is a part of a ‘doing business’ focus, but part elsewhere. The trouble is that it is such a difficult exercise; I feel we should do it but the world is a general equilibrium system and the incidence of interventions will be very difficult to measure. Yes, it should be on the research agenda but I don’t think very good, concrete results will be coming in a rush. We will try and we will improve over time. KARTHIK MURALIDHARAN: It is one thing for me to work in a vertical such as education and to say that conditional on the budget, how do we spend this money more effectively. It is a more tractable question for me to answer. But the moment you step out of that into the Ministry of Finance and you say, how do I allocate money across ministries – you are in uncharted territory. So it seems to me that at a broader level, among the most important contributions of economists in the developing country context will really have to be that given the fiscally constrained space that most developing countries are in, given that the tax-GDP ratio is lower at this stage of development – how do we equip policymakers to make trade-offs between investments that have public good characteristics and therefore have larger spillovers versus investments that are really more about publicly-provided private goods (much as they may be merit goods including healthcare, as opposed to public health which is a public good). I feel we are not really getting that kind of analysis in terms of a world of scarce resources – is that something the World Bank is consciously supporting countries to do? KAUSHIK BASU: There are two reasons why this happens. Some of these deeper investments – when you are using your fiscal space for something that will yield a benefit 5-10 years down the road – don’t fit well with the political cycle. For the politician it is not of that much interest because it is not something that will be seen in the next two months; the benefits will come after five years. So there is a bit of a natural reluctance in any democratic system – this is true of the United States, this is true of India. The other is that we need to bring more research on the table – between two different kinds of innovations/ interventions; on the face of it both may look equally good but in one there can be huge long-run benefits and you need some research. I have seen some work by Michael Kremer on deworming showing that it is not just very important for the health of children going to school but the long-run benefits are such that it will have fiscal implications for a country for a very long period. It more than pays for itself – virtually pays for the initial investment entirely and even outstrips that. This kind of a thing is not even known to policymakers – quite apart from their interest – it is not known. If it can be brought to the table, it will begin to make a difference. For the next to next issue of the World Bank Economic Review, we have decided to go in for a ‘papers and proceedings’ issue once a year, which will be a bit of a directed one – instead of submissions coming in, we will choose themes where you push for some of this. The first of these will actually carry many of the research ideas coming to the table – the work by Michael Kremer which will be published in that. Avinash Dixit has proposed a very interesting idea in a very different area. To give more detail – Avinash first experimented with this idea in India with the Chambers of Commerce. It is a very interesting thought and he is one of the finest theorists so it is very well worked out. For corruption control, we lay the responsibility entirely at the doorstep of the government (I have commented on some of those roles causing controversy). But there is a lot of interest of the collectivity of business groups in less corrupt settings because that brings in Foreign Direct Investment (FDI), and allows others to interact with business houses. For example, if a country is known to have a lot of corruption, foreigners wanting to deal with the country will be hesitant and will not come in. Whereas if it is known to be relatively clean – a contract is a contract, and a contract will be enforced – more FDI and interaction will come in. This means that quite apart from the government, the collectivity of business groups have an interest in a clean slate because they will have a clean atmosphere and will get more international business. So what do you do? You can think in terms of a contract among business groups. In India, on corporate governance, there has been initiative that has come from corporate houses themselves; no matter what the government does, it is in their own interest to have better corporate governance – and India’s corporate governance has improved. Avinash’s idea is that, to a certain extent, business houses should get together and chalk out an inter-personal punishment system that if this business group does this, the rest of us are not going to interact with them. If you can get this on board you can then begin to have a cleaner setting in terms of corruption with no outside intervention needed; in a more real world of course, you would need government to come in but you can improve it vastly by just a contract of punishing one another. India has seen a lot of examples of mutual punishment without government leading to some very harsh practices. Some of our caste practices, some of the worst practices – very often you did not need a government; it was through our own sanctioning behaviour that we got a lot of practices in place. Why can’t we put it to good use? Avinash works out a very novel scheme and I am actually very keen that business houses should read the paper – it may be a bit hard to read but there are easier versions of it. So this is again the World Bank forum being used to do this. KARTHIK MURALIDHARAN: Let me just go back to what you said – on convincing political leaders about the return to investing in public goods in an electoral cycle. This is exactly the motivation for our smartcard paper. One of the things we write there is that the political economy leans towards more programmes because it’s a programme that you can announce, target to your preferred voter groups, it allows for patronage; but you don’t nearly have the same set of incentives for investment in State implementation capacity partly because of the perception that this payoff is beyond the electoral cycle. So in some ways, the main contribution of our paper is to say that even in a period of two years when the implementation was only 50% complete, this investment pays for itself. In fact, what we calculate is that the time saving to beneficiaries alone pays for the entire programme. In the spirit of the deworming paper and that entire conversation of little interventions paying for themselves – there is more work for economists to do here, rather than pass on the burden to the politicians. The question here is that sitting in the CEA’s office – to what extent is there analysis of the relative return to allocating the marginal public rupee (or dollar) across sectors? Even without RCT-type of evidence, is that at least a framework of thinking that happens and how is it done? KAUSHIK BASU: That is certainly a framework of thinking, I have to say, and India has a sophistication of doing that. You don’t get hard results. But we were all the time doing computations of the benefits of interventions. But you also know that when you are doing it with some broad macroeconomic data, how certain this is – there is a big question mark. How much of the analysis you can do in-house is also a question mark. This is the kind of area where the research that takes place in the Ministry of Finance and the Reserve Bank of India (RBI) needs to interface more with research that takes place outside in the independent bodies, and to bring that to the table to have even more persuasive data. So like your smartcard work, I feel that would help a lot because the smartcard is a very good example where there is a lot of discussion that would take place on the smartcard; we were producing bits and pieces of evidence saying that this is going to work very well. But politics is very strange – not politics as done by politicians but the mood of the country – these things go in for swings of opinion, and once that begins to pick up you can push in certain policies, which at other times you cannot. Research is just the backdrop; public discussions, public discourse and enlightened journalism are more important; you have to write not just a two-liner on something but an entire page describing a policy analysis so that the few people who will read will understand this. One more thing that I feel very strongly about sitting in the World Bank: in the traditional Bretton Woods organisation – World Bank and IMF of 20 years ago – there was a tendency to go down to developing countries wherein you call the finance minister or the central bank governor and preach. There was a lot of reaction to that. Now when I travel around, when I go to small countries in West Africa, island countries – the level of discussion you have with top policymakers there is pretty much the same that you would have in London or Washington, and in Delhi that’s certainly the case. In Delhi, the top policymakers have the best ideas; they are reading the same magazines and the same journals – they are plugged in. This picking up of the momentum and creating the space for something that is debated country-wide is very important; not just telling politicians to do this or that – they already know that. Take, for instance, the LPG subsidy; on the cost and benefits of the subsidy, the policymakers have read the same things and they know about it – but they also have a pulse of the mood of the country. The public discourse – Amartya Sen stresses that repeatedly – having it at a level where people have a slightly better understanding, can give us a lot of mileage. KARTHIK MURALIDHARAN: That’s exactly what we are trying to do with this kind of forum. My own experience working in sectors is that there are three levels at which we can share our work – dissemination (say, giving a seminar), recommendation, and advocacy. Most of us would stay away from the last part, and would only go as far as to give a recommendation. Any policy change has winners and losers – so how do you take this policy change and do the work of crafting it through the political economy? For example, free electricity for farmers to most of us would be a very distortionary, unbelievably regressive policy. It damages the cropping pattern, damages the water table. It is one of these no-brainers. But when you talk to any politician, they would say we can’t touch this for farmers. The type of analysis I would like to see would be very simple: all it would take would be an incidence analysis of the subsidy – a very simple graph that is kind of indexing from the lowest to the highest percentile of the beneficiaries and showing how convex the benefit schedule is, and then doing the work to say that you could go to the 80th percentile of this usage and provide that amount of free power to everybody, and to anybody who uses less than that you sell that back. It is effectively a straight income transfer, but then we have marginal pricing. The political cleverness of a design like that is that you have got a voting majority who is going to, by revealed preference, vote for something like that. So I don’t see that as veering into the world of advocacy. I see that as economists putting on a lens of political feasibility and presenting a proposal for something like that to go through. 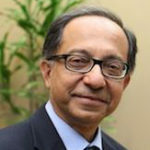 KAUSHIK BASU: Here I have a disagreement – and this is a disagreement not with you but with the economics profession. We very often feel that as soon as we write down a policy and you show that it is beneficial for the majority – you will get a political majority voting for this. I don’t think so. Somehow, I can think of a lot of agricultural interventions in this country, which are not good for the mass of people but the few people at the top in agriculture can build up a mood or persuade a lot of people. Even if it is very clear that 60-80% of the bottom segment of agricultural farmers will benefit but the top end will lose out a little bit, you can’t get it through because somehow the mood and perceptions will be different. KARTHIK MURALIDHARAN: I don’t disagree at all. I don’t think economists can influence the political process but going back to what you said about creating the larger mood and the larger discussion – I have not seen this incidence graph. Having this incidence graph go out on paper, I think would make a huge difference. KAUSHIK BASU: You have to have that but with that there has to be a political economy exercise. I’ll give you an example: I used to have a small home in Bihar, now in Jharkhand, where I would go down once a year or two years. I remember I went there when my father passed away and someone gave me an electricity bill that had accumulated and I was about to pay when the villagers came and told me that over there no one pays electricity bills and if I do so it will be a very anti-social act. I remember being caught in a dilemma (I don’t remember now what I did – this was many years back!). I agree with you – we have to get the data, the incidence, and we have to sensitise people. But we also have to get the masses to understand their own interests better, and not to be guided by the few leaders who have a voice in the village – so we should aim for a democratic understanding, a broader understanding, and a more direct engagement with the people. What I am saying, in a nutshell, is that talking to policymakers is important but talking to the masses so that they get a slightly better understanding – economists and journalists play a role here – is also important and so we have to give a lot of attention to that. KARTHIK MURALIDHARAN: So I don’t think we disagree at all. In terms of moving the needle slightly towards the masses so that they understand better what is in their own interests, I was just suggesting that what economists are not doing enough is that we say this is a policy we recommend and we step back; we need to do the additional step of thinking through where the political economy hurdles are, and then communicate accordingly. This sort of an incidence graph can be made sector after sector in subsidies and target not just the English media but eventually one should push this down to the Hindi media. That’s where people are forming their opinions. So I was just thinking about how academic economists can do more so that some of this work is reflected better. KARTHIK MURALIDHARAN: Let me pivot to a very closely related point about something you were talking about earlier. I was in Rajasthan recently, participating in the Chief Minister’s advisory council on policy. This is a very reform-minded Chief Minister and has a checklist of policy priorities across 8-10 areas. While the action items are good, what I was struck by was how little attention is being paid to State capacity more broadly, to actually implement these things. So it feels to me right now that that is the binding constraint affecting the government in sector after sector after sector. It is not that we don’t have capacity at the top to make good policy. There are two things when you think of implementation capacity: one is people, and the other is systems – that is something that is really lacking. You talked about needing to build that capacity in the Ministry of Finance and RBI in terms of analysis. This also applies to legal capacity for drafting good contracts, service delivery – regardless of whether you do PPP (in which case you need capacity to manage these contracts, manage the procurement, which is highly non-trivial) or government provision – you are kind of hamstrung by that limitation. So my question is about two things: how much is the World Bank thinking about not just policy but implementation and ways in which you could systematically boost this, and which part of government could lead that? And just to connect this to research, one of the interesting areas of research in micro-founded work that has macro implications is the recent work by Nick Bloom and John Van Reenen on management practices and their correlation with differences in productivity; they show this in the private sector, and what little evidence they have suggests that this is even more serious in the public sector. There is evidence to connect to the idea that this might be a really important binding constraint. So what is the World Bank doing, and what can we do about this? KAUSHIK BASU: The World Bank is doing a lot on this, also because the current President Jim Kim is very keen on the last mile of delivery. If you set up a system and you don’t do the last mile right, you don’t get the benefit to reach the people. There are a lot of examples in India of that happening. We are thinking of that in our WDRs that are taking place, starting with the one on social and psychological drivers of development, which is that how you frame something you are offering to people, makes a difference. Human psychology is such that it makes a difference. So this report is on the social and psychological dimensions on how to deliver something better. The next report will be on internet for development – the use of digital technology for the last mile. India is a prominent player in this with Aadhaar and other things. We are thinking of a third WDR on something to do with organisations or the management of systems. So these will be like a trilogy, all focusing on last mile delivery – how do you get the delivery into people’s hands with as little leakage as possible on the route? So the World Bank is very much on board with this specially given Jim Kim’s interest and because of the expertise; it’s a question of drawing this expertise together. The first WDR is done. There is currently a whole team, with Narayan Murthy on the advisory board, at work on the second one on internet and development, which will address this question very closely. And we are thinking of a third one which will close the loop on different ways in making sure we deliver better. Some of the kind of results that you are talking about will find their space in these three reports so that we can take these documents to the World Bank client countries – which are the countries to whom we lend. We also want to play the role – and the World Bank is in a position to do it well – in bringing ideas from across the world. Brazil, as you know, has used Conditional Cash Transfers probably more effectively than any other country. Brazil’s drop in inequality has been surprisingly sharp, but there are two sides to it – it started with such huge inequality that the first miles were easy to get to, but it also had a lot of very interesting interventions that made for better distributions. So some of these ideas we will bring from across the world, some from experiments taking place in India, and some from theory. 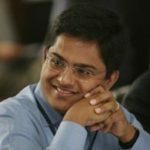 KARTHIK MURALIDHARAN: It’s interesting because at the World Bank, you are playing a similar role that one wants – there is a consensus I believe – the entity that replaces Planning Commission should play, which is to encourage decentralised innovations by states and even districts and find ways of collecting and sharing best practices. My own experience in this – having been on the faculty at the IAS academy in Mussoorie a few times – is that you see a lot of people, when they are Collectors, who have interesting ideas and innovations but there is no systematic documentation or analysis of what the impact was. Coming back to your role in Delhi, if you were to design architecture, not just at the top, but a process to build capacity at the local level for analysing and synthesising best practices – what would the roadmap for that be? KAUSHIK BASU: One thing that should be there – and something we have started doing at the World Bank – is to have embedded researchers where an intervention is already taking place. You send some researchers there who are not disturbing the process but only collecting data, and maybe have a control group to see the comparison. So the government is continuing with its own policy but there is an embedded researcher who is collecting information that gets shot back to Delhi and then Delhi analyses and says that this intervention is working well or not working well. In the World Bank, there is a team we call DIME (Development Impact Evaluation) which does a lot of this, but because of our delivery focus we are trying to expand this – where the World Bank is involved all over the world in data collection while the work is going on. So whatever is going on – you are intervening to clean up a lake or pond, or intervening with a health service – it has nothing to do with research but it is an opportunity to collect new data. In India there is a lot of scope for that. If I was CEA again, I would take a lot of interest in setting up something like this along with the thousands of interventions taking place all across the country – you send out data collectors to do this systematically, and as the programme is running, you are picking up information and trying to do better and getting new ideas. KARTHIK MURALIDHARAN: One thing I want to come back to is theory, evidence and policy, with a very concrete example based on your own theoritical work on child labour. You have got seminal papers showing how these child labour bans if well implemented can move you to a good equilibrium but if not, then things could in fact get worse. Now we have evidence – Prashant Bharadwaj has done some very careful work (which is non-experimental; and by the way, is an assuring example that experiments are not crowding out important questions, because there are enough incentives for people to do the best they can on important questions). His paper is really quite striking because it shows that it is your second paper which is correct in terms of the empirical realities – that because the bans are not perfectly enforced, because they lead to the displacement of labour into homes and other settings where the enforcement is harder; you in fact see worsening outcomes in every dimension. Child labour goes up after the ban, household incomes and welfare goes down, and the younger siblings are adversely affected. Now given the deep moral repugnance that most of us would feel about the idea of child labour and the natural impulse to legislate and strengthen bans – how would you square the theory and evidence together into a sensible policy framework? KAUSHIK BASU: This is an interesting question; as you said, I have worked extensively on this. Over here, the morals become so strong (this goes back to what I was saying about farmers – emotions get the better of deciding what is good for them, what is not good for them). It happens even in elite societies – there is a lot of confusion from a moral point of view. I first got involved in this child labour debate when I wrote a New York Times op-ed in 1994 arguing that all the well-meaning activism in America for banning child labour immediately across the world – you have to be very careful about this. In a dreadfully poor country, even if you enforce the ban well, you may put an end to child labour but by exacerbating child starvation. You have to be sensitive and you have to be careful that partially done may make it worse. Properly done ban may not also work well in every country but in some countries, it can deflect you to a better equilibrium. This required a lot of work because it reacts against your first emotion – there may be situations where you have to allow child labour to happen till you have got things in place. If you are not giving them food and basic wherewithal, to suddenly come in and say that from tomorrow the children cannot work – you are going to starve them. You have to get those things in place. So this is not an argument in favour of child labour, as some people made it out to be, but it is a criticism of the fact that you don’t want the children to starve just because it makes you feel morally good; you have to put in place other policies before you go for that. This took me into this debate and I wrote up a theoretical paper – I did a couple of them – which got a lot of attention. What was very satisfying for me is that in a theoretical paper, one makes some assumptions about the way the world works and you feel that it will be right; subsequently, there is a lot of empirical work which tends to corroborate that and gives you a more hands-on idea of where it will work and where it won’t. Some of the axioms, which were axioms to me with no evidence; something I had called the luxury axiom – now there is a ton of evidence showing that most of the time that axiom is right. This is very satisfying for me because this is one area where you see economics at its best. You are using analysis as carefully as possible in areas which are emotionally very difficult so most people can’t immediately relate to that but gradually you begin to win people over and try to persuade that you aren’t being mean when you are saying hold back, rethink and design your policies better – you are just concerned and in fact, perhaps even more concerned than some people. KARTHIK MURALIDHARAN: A big part of the rights-based movement is also, in some sense, the intervention of the courts, The courts in India over the past decade have been particularly activist in terms of stepping into what would otherwise be policy space, and often very well intentioned, but in many cases with recommendations or blanket bans that to most economists would be completely sub-optimal. So it just seems that there is a genuine need for a legal tradition of economic analysis of the law, the sort that Richard Posner and others have done in the US. Do you see any such movement in India? There seems to be a massive lacuna – you have got this unbelievably powerful, unelected entity with no self-corrective mechanisms because it is not facing legislative feedback or electoral feedback, but that can go down well-intentioned but empirically misguided trajectory. KAUSHIK BASU: Very good question because this is very close to my heart. Actually right now, for me personally, law and economics is the major research agenda. I don’t get time to do closed door research the way I would earlier. But two weeks ago, I was at the Institute for Advanced Study in Princeton; I gave a very early paper on how to think about law and economics properly and I do plan, in the nooks and crannies of my administrative job, to work on this. So it is something that I have on hand as an important topic. For India I have for long felt that it is important. In Calcutta, at the law school, I played a role in founding a lecture series on law and economics and it has been running for 10 years – a whole lot of people have spoken. Law and economics is very rudimentary in India. For a range of fields including anti-trust legislation, you have to have a deep understanding of what the law does because even the people who are going and enforcing these interventions need to have a bit of an understanding about what law does to the economy. This is one area where we are trailing behind the industrialised countries – otherwise in most intellectual areas, India is pretty much on the frontline. At World Bank, there isn’t much happening; people are working on it; but given that I have become very interested, I will give it a bit of a push while I am still there. This interview is part of the ‘Ideas for India Conversation Series’.